We often take for granted the idea of solidarity between South Asian and African American communities today. On the contrary, it required a significant amount of radical thought – academic, literary, and imaginative – to create. In the 1920s, Afro-Asian solidarity was very far from axiomatic. Contemporaneous biological race theory suggested that South Asians were related to whites by virtue of their shared “Aryan” heritage; some Indians in the American South used this to claim their “biological whiteness” in order to gain U.S. citizenship before 1923. Many South Asian intellectuals could admit that anti-Black racism in the U.S. was a problem but could not admit that, similarly, caste oppression in South Asia was unjust. Nevertheless, a small group of South Asian and Black intellectuals in the 1920s argued for the necessity of Afro-Asian solidarity by highlighting how the injustices of imperialism and racism share similar logics of white supremacy. Even if M.K. Gandhi’s views on Black people were, at best, complicated, South Asian thinkers and activists in the U.S. realized they could help “translate” Gandhi to be useful for the fight against anti-Black racism. By the late 1920s and 1930s, Gandhi had become a worldwide celebrity – he had, in other words, become the “Mahatma.” Some globally minded American leftists had heard of Gandhi’s anticolonial protests by the early 1920s, but by the 1930s he was a figure of easy white American sympathy. Because of his “spirituality” and his demand for freedom, many white Americans compared him to Jesus Christ and George Washington. By claiming Gandhi for an anti-racist cause, South Asian American and Black thinkers forced white Americans to come to terms with a major contradiction in their thought: that they could stand for freedom in India, but were squashing the same demands in their own backyard. Even still, “translating” Gandhi was no easy feat. 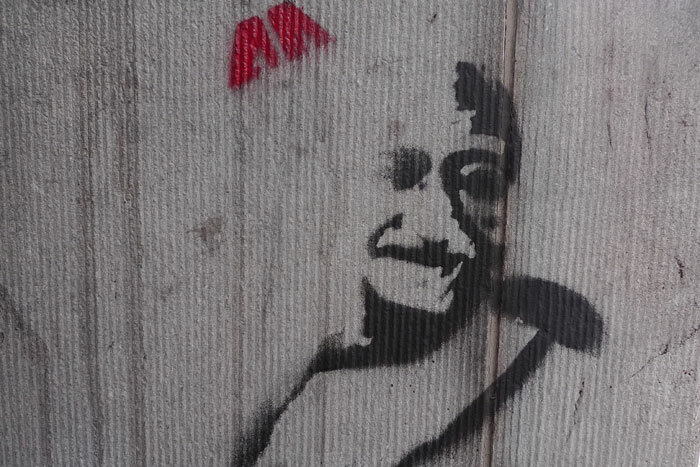 Writers had to wrestle with Gandhi’s unorthodox reading of the Bhagavad Gita, but they had to avoid flattening out Gandhi’s philosophical “experiments with truth” into a simple political project. They also had to fight back against the many other “Gandhis” in the U.S. – including, for example, Margaret Sanger’s version of Gandhi, whom she had “translated” as having advocated for eugenics in Black communities. Martin Luther King, Jr. relied heavily on M.K. Gandhi’s philosophies of nonviolence and self-rule for his Civil Rights projects in the 1950s and 1960s. 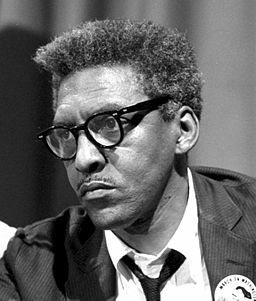 Recent historical work has shown how Bayard Rustin, King’s political strategist, drew King’s attention to Gandhi’s work and helped King “translate” Gandhi for the political work in the United States. Until fairly recently, Rustin was largely forgotten in the history of the Civil Rights movement, mostly because he had been silenced for his homosexuality and radical views on communism, which put him at odds with the more mainstream interests of King’s political project. But how did Rustin learn of Gandhi? In his notes, Rustin records reading Krishnalal Shridharani’s War Without Violence, published in 1939. Shridharani’s book was based on his Ph.D. dissertation, which he completed at Columbia University. The book details the development of Gandhi’s “political philosophy,” integrating – perhaps more than the Mahatma did himself – Gandhi’s various terms (satyagraha, swaraj, ahimsa) into a cohesive political program. 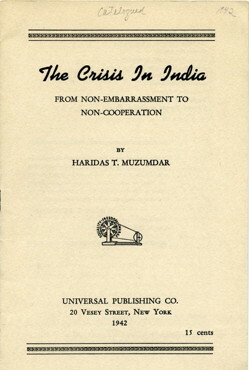 Shridharani also published My India My America in 1941, which drew attention to the shared injustices of British colonialism and American xenophobia. Shridharani and Muzumdar are far from the precarious workforce, predominately Punjabi, along the North American west coast in the 1920s. As Vivek Bald has recently written, American interest in India has always been split along lines of class and religion – it is celebratory of elite South Asians as “model minorities” while violently excluding low-income Sikh, Muslim, and Dalit communities. Even still, Muzumdar and Shridharani recognized the relationship between racism and colonialism, and used their relative privilege to fight against both. It is no surprise, then, that their books were so central to the struggle for Civil Rights in the 1940s and after. Though their privilege makes them appear fairly moderate in their politics, they actually signal the possibility of more radical alliances, fully realized later, and the continued fight against global racism that connects the deaths of Black people in the U.S. with the continued oppression of Dalit communities in South Asia, the exclusion and abuse of Muslim immigrants in Europe, and continued imperial occupation around the world. J. Daniel Elam is the postdoctoral fellow in Bibliomigrancy at the University of Wisconsin-Madison. He thinks about radical Indian anti-colonialism, world literature, and bicycling.